Luuka Jones and Mike Dawson are hoping history repeats at this week’s canoe slalom world championships in London. 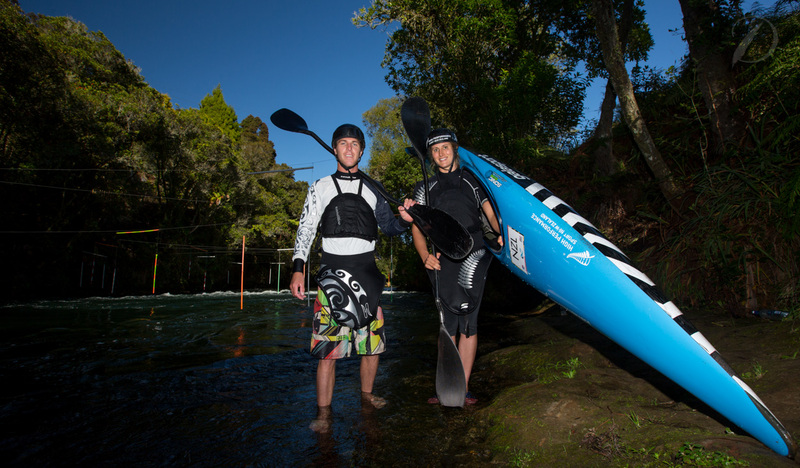 The leading New Zealand kayakers will be aiming to qualify boats for Rio de Janeiro on the tough Lee Valley course, venue for the 2012 Olympics, with Jones tilting for her third consecutive Games and Dawson his second. A year ago in Prague, the pair recorded their best world championship finishes, with Jones making the final for the first time and finishing 10th and Dawson ending in 12th. Similar results this week would easily qualify New Zealand spots amid the top-15 nations destined for Rio, with Dawson explaining the London course suits the New Zealand paddling style. Dawson got his World Cup season off to a flier in Europe this year, setting the fastest time in qualifying in the opening round in Prague and eventually finishing ninth, although he missed the semifinals in the final round in France after his hectic extreme/expedition/slalom schedule took its toll. Jones, meanwhile, took a while to get her rhythm this season but came right by the time she got to France, qualifying for the semifinals in fourth spot. There will also be plenty of interest in the rest of the New Zealand team, with Kelly Travers (C1), Finn Butcher and Callum Gilbert (K1) all making their first World Cup semifinals this season and C1 paddlers Ben Gibb and Shaun Higgens making steady improvements. Tauranga-raised siblings Brydent and Ella Nicholas will also be racing in London for the Cook Islands, with Ella Nicholas already having represented the Pacific Island nation at the 2012 Olympics. Another Bay of Plenty paddler, 17-year-old Daniel Tuiraviravi, will be representing Fiji.Dawson believe the team dynamics are as good as he’s ever experienced leading into a world championship. The championships get underway on Wednesday night (NZ time).